Once you read this article, you will see that, perhaps, Israel is the only nation in the world which can successfully attack Iran and how a successful attack could start the Russian drive to invade Israel in fulfillment of Ezekiel 38-39. President Bush's invasion of Afghanistan (2001) and of Iraq (2003) may have been modern history's greatest example of superpower cooperation! Since Colonel Byron Weeks and LTC Bearden are correct, we know that American scalar weaponry is primitive enough that our forces are at a distinct disadvantage to Russian and Chinese scalar weaponry -- we literally could attack Afghanistan and Iraq only with the consent of Russia and China. Before we go any further, let us stop to examine both the relevant Biblical prophecy and the Illuminati Plan to produce the Masonic Christ. You will see that Bible prophecy is forcing the Illuminati to develop a plan which, when fulfilled, will exactly fulfill God's prophetic Word perfectly. Note how the Plan calls for world leaders to "act in harmony" because they are just acting out a script. Focus on the words, "acting in harmony". Both this prophecy and this Illuminist passage are telling the same truth. The leaders of this day are "acting" in harmony to stage Antichrist on the world scene, and will continue to do so until all the prophetic Words of God are fulfilled. The leaders of today are "acting" in complete "harmony" just as one would expect actors to do in a play. The fact of the matter is that all major events have been thoroughly scripted, with Satan ensuring that the minor events and minor actors are following the script. Oh, yes, the script may call for staged arguments and battling back and forth, but on the main issues of the day, all leaders are acting in concert. We noted this most interesting cooperation over three years ago, and wrote about it in NEWS1548. If you have not yet read this article, please stop to do it now, for it will add greatly to your understanding of this issue. The fact of the matter is plain: Given the superiority of Russian Energetics Weapons -- Scalar Electromagnetic Wave Weapons Systems and the even more potent Potential Weapons -- over anything the United States possesses, President Bush literally invaded Afghanistan and Iraq only with the permission of the Russian, Chinese, and European powers, all of whom possess advanced Scalar Weapons which the United States does not. Can you understand how important it was that President Bush secured at least a token expression of support from the United Nations before he invaded Iraq? Even though the leaders of Germany and France attended this news conference, the spokesman was Russia's Putin. This fact speaks loudly to the reality that Russia may be the one superpower that is willing to actually stand up to the United States. Further, Putin used the descriptive language "slippery slope" to describe America's actions. This term is usually reserved for the very special circumstance in which national actions are seen creating an inevitable slide into all-out war. Thus, the assassination of the Austrian Archduke Ferdinand started the world down a "slippery slope" to war that proved to be inevitable. It took fully 30 days for the first governments to declare war on each other, but very quickly thereafter, governments lined up on each side, until World War I was launched. Now, let us continue to examine this article. Thus, the battle lines seem to be drawn between the two world's military superpowers. Even though Russia has an economy dwarfed by the United States, she now fields the very modern combined unified force she began to bring on line in 1998. Further, Russia has EM interferometer scalar weapons that are so superior to anything the United States has, that Russia may really be the only true world's superpower [Read NEWS1776 ]. If you study scalar weaponry, you will see that it can deliver nuclear-sized explosions that look for all the world like a regular nuclear blast, including the distinctive mushroom cloud, but without the radiation; and, scalar weaponry travels at the speed of light. Further, scalar technology can build a Tesla Dome over a country, over a city, over a specific target area, and around a moving airplane -- a protection so formidable that no weapon we can employ can penetrate to destroy the target. America risks dramatic military defeat if we cross the "line in the sand" that Russia's Putin drew on April 12, 2003 (above). With this concept in mind, let us now examine a current instance in which Russian President Putin has drawn another "line in the sand" against America. "Russia is the most reliable partner of the Islamic world and most faithful defender of its interests, Russian President Vladimir Putin said in Chechnya’s capital Grozny. Putin unexpectedly visited the war-ravaged republic to speak in the local parliament ... 'Russia has always been the most faithful, reliable and consistent defender of the interests of the Islamic world. Russia has always been the best and most reliable partner and ally. By destroying Russia, these people (terrorists) destroy one of the main pillars of the Islamic world in the struggle for rights (of Islamic states) in the international arena, the struggle for their legitimate rights', Putin was quoted by Itar —Tass as saying, drawing applause from Chechen parliamentarians." " 'The leaders of the main Islamic states understand this, he added. 'For this reason their representatives were present at the general voting in the referendum on the Constitution of the Chechen Republic, they were at the presidential elections; both the Organization of Islamic Conference and the League of Arab States, our colleagues and friends were present at the elections to the parliament'. Putin said that 'member countries of the Organization of Islamic Conference have unanimously passed a decision that Russia will begin working as an observer on a permanent basis'." This statement is quite bold and unequivocal! Even if a leader like Russia's Putin really does favor the Muslim world this much over the Western world, one would expect him to keep these radical views silent. After all, Russia has to continue to "get along" with Western leaders like the United States on a wide variety of issues -- from global economics, to oil production cooperation, to politics along a wide front, but especially within the United Nations. According to Conventional Wisdom, Russia simply cannot afford to alienate the United States. Yet, at the same time President Bush is using Weapons of Mass Destruction (Depleted Uranium) against the entire nations of Iran and Afghanistan, and while a furor continues to erupt regarding the estimated 100,000 Iraqi civilians killed since our invasion, and while even Bush admits that America has a real "image problem" with Muslims, Russia's Putin risks alienating Mr. Bush with his strongest statement yet of the deep support Russia extends to Islamic nations. Take another note of the word Putin uses to describe his support for Islamic nations: he calls Russia their "defender". That is a strong term with military overtones, since it is by military force that one nation "defends" another. If Russia is willing to publicly state that she is the major "defender" of Islamic nations, then she must be willing -- and able -- to defend Islam against all her enemies, including those who are actively threatening "rogue" Islamic states like Iran and Syria. We believe that Russia must have made the firm decision in April, 2003, to arm Iran and Syria with a combination of scalar and conventional defensive weapons which would make it nearly impossible for the United States and/or Great Britain to attack. Is this the reason President Bush and his entourage have been threatening these two countries since Summer, 2003, only to back down each time? We have come to the conclusion that America just does not possess the weaponry needed to pierce the combination of defensive weapons with which Russia has ringed Iran's nuclear power plants. If we do attack, we might inflict some limited damage, but will not damage the state enough to force a "Regime Change". However, one nation may have the capability to pierce Russian energetics weapons protection. 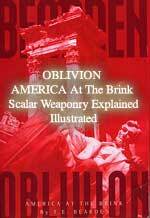 According to LTC Bearden's book, "Oblivion: AMERICA At The Brink -- Scalar Weaponry Explained, Illustrated", Israel possesses Scalar and Quantum Potential weapons technology sufficient to counter the Russian weaponry. Listen as Bearden speaks to the issue of Israel's fearsome capability which comes close to matching Russian capability. Note that Bearden credits tiny Israel for her earlier successful actions to deter a Russian destruction of the United States. Anti-Semites should remember these facts the next time they want to bash Israel. Then, LTC Bearden noted one spectacular Israeli energenetics capability she gained in 1969, and he makes no mention in Oblivion that the Russians had this capability. Let us stop right here to analyze what we have just learned. In 1969, an Jewish scientist working in this field of energenetics weaponry provided Israel with a fantastic weapon, one that could literally cause machines to stop working, to jam a piece of equipment so firmly that it could not be moved, nor could its internal pieces function. Israel then used this weapon to destroy Iraqi nuclear reactors! This information brings us to our major point: Israel may be the only Western nation on earth who could actually destroy the Iranian nuclear facilities. Her capabilities in the field of Energetics (Scalar and Quantum Potential) either equal or nearly equal that of the Russians. LTC Bearden has noted that the Israelis have intervened several times in the past two decades to prevent a Russian Energetics attack on the United States. Let us now review each of the pertinent nations in this propaganda conflict. * United States -- The Bush Administration has been threatening Iran almost weekly since Summer, 2003, shortly after Coalition Forces seized control of Baghdad. We have moved forces into position, only to back down each time. If you were to list every threat uttered over the past three years against Iran, realizing that no action has ever been taken, you would be taken aback. Up to this point, Bush Administration official threats have proven to be empty propaganda. People who have been paying attention have come to realize that our foreign policy is all bluster and no action. American credibility has never been lower. * Israel -- Prime Minister Ariel Sharon and several of his deputies, including IDF generals, have largely regurgitated the American propaganda. However, news stories tend to paint the picture which hints strongly that Israel may actually carry out the attack against Iranian targets. We realize that, if this occurs, Israel is likely to use her Energetics Weapons capability which rivals that of the Russians. * Russia -- President Putin warned the United States in April, 2003, not to try to overthrow any more regimes in the area, as we noted above. Since that time, Russia has spent untold billions of dollars worth of war capability to defend Iran. Also, as we noted above, just last week, Putin strongly pledged to the Islamic world that Russia was their "most faithful defender of its interests". As we noted also, the word "defender" implies military capability and a willingness to use such military capability. Russia's public statements since April, 2003, up to now, have been getting stronger and stronger in support of Iran. Putin is evidently more confident than ever that Russia can deter any attack on Iran's nuclear facilities by either the American or Israeli military. * Iran -- Since the new hardline, conservative Mahmoud Ahmadinejad was "elected" president, Iranian statements against both the United States and Israel have been ratcheting upward and upward and upward. President Ahmadinejad has been poking both President Bush and Israeli PM Sharon in the eye with his "fightin' words". So far in December, the Iranian President has denied the Holocaust and has said that the nation of Israel should either be destroyed or dismantled and moved to Europe! These harsh public statements from top leaders in Russia and Iran leave no doubt but that these leaders are supremely confident that Russia can and will defend Iran against either an American or Israeli attack. Russia's credibility to 1.4 billion Muslims throughout the world is literally on the line. If Israel was able to successfully destroy the Iranian nuclear power plants which Russia built and has pledged to defend, President Putin would suffer an enormous loss of credibility in the eyes of all Muslims throughout the world. 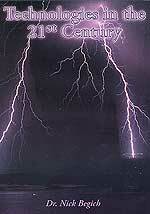 This possibility brings us to our concluding End of the Age scenario. Let us suppose that Israel was able to destroy Iranian nuclear power plants, effectively using her Energetics Weaponry to successfully penetrate and neutralize Russian defenses. The entire non-Western world would be positively aghast! Repercussions would explode like nuclear bombs within political offices from Russia to Iran, and to every country on earth opposed to the United States. Because the news media would never be told exactly how the Iranian nuclear facilities were destroyed, citizens from every nation would conclude that some sort of conventional and/or nuclear weaponry was used; almost no one would suspect that advanced Energetics weapons were employed. Further, since the explosions generated by Energetics weapons mimic explosions caused by other types of weaponry, it would not be difficult to pass the destruction off as a conventional weapons strike. However, the political turmoil in Russian and Iranian diplomatic circles would be the most intense. Angry, embarrassed Iranians would demand answers from their Russian patrons in the strongest terms imaginable. Can you imagine the kinds of language which would fly back and forth between Iranian and Russian diplomats at every level of the diplomatic channel? The Iranians will be angry and embarrassed that they depended so completely on Russian protection that their hardline President literally made a fool of himself in front of the world by his antagonistic statements. What if the Russian generals and scientists explained that, even though they thought they had the kinds and amounts of weapons in place which would defeat any attempt to destroy an Israeli attack on Iranian nuclear facilities, these weapons in place were not the full complement of Russian Energetics capabilities? What if they explained that the only way in which Israel's Energetics capability could be destroyed is if Russia deployed her first rate Army and Air Force which were fully equipped with their complete arsenal of Energetics weapons? Putin is likely to turn his eyes upon an invasion of Israel using his front-line military units fully equipped with every kind of advanced Scalar and Quantum Potential weaponry which Russia possesses. Since Russian-supplied Islamic nations have never been capable of destroying Israel, might Putin conclude that the only way to destroy pesky, tiny Israel, is to move a gigantic Russian-led force against her, all of which is thoroughly armed with every capability which Energetics Weapons provide? Israel's capability might destroy some of the Russian forces, but could not destroy them completely before she herself is annihilated; at least, that is probably the thinking of Putin and his advisers. When Russian forces begin to move against Israel, the nations listed in Ezekiel 38 - 39 as accompanying her will be more than willing to join with the march of the greatest military force ever assembled. Iran's leaders will be the first to volunteer to march with the Russians, determined to wreak vengeance upon the Jewish state. At that point, Russia's Putin will plan to use his Energetics Weaponry to destroy Israel. If this scenario plays out, the fulfillment of the Russian-led invasion against Israel may very well unfold as the first direct combat between forces equipped with Energetics Weaponry -- Scalar Interferometer Weapons, Quantum Potential weapons and other exotic Energetics Weapons listed in LTC Bearden's book, "Oblivion: AMERICA At The Brink -- Scalar Weaponry Explained, Illustrated". Therefore, do not be surprised to hear that Israeli forces have destroyed the Iranian nuclear facilities. The Western Mass Media will pass this destruction off as conventional weaponry, for they have no idea about this exotic Energetics Weapons systems. And, they will succeed in convincing the vast majority of people, for the explosions and other effects which will be reported mimic explosions and destructive effects which conventional weaponry is know to cause. However, this destruction will not result in the "regime change" within Iran, for the Iranian government is led by the most severe of hardliners, exactly the kind of government needed to put Iranian forces in the mix, marching with Russian against Israel. 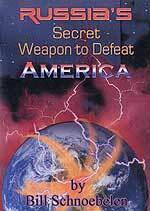 1) Antichrist must arise out of the "Final Birth Pangs War", which the Illuminati has dubbed "World War III". 2) The United States must be destroyed, for she has always defended Israel. 3) Antichrist must have arisen (the 11th Horn, the Little Horn). This fact means the world will have passed through the Final Birth Pangs War. At this point, Daniel 7:7-8 will have been fulfilled. When God destroys the Russian-led forces at the borders of Israel, as Ezekiel 38-39 foretells, the world will recognize the Divine hand in that destruction; however, Antichrist, serving from his office in Jerusalem, will immediately take credit for the destruction, and the world will believe him. We live in exciting, troubled times. End of the Age prophecies will be fulfilled to the letter, and Energetics Weaponry on both the Russian and Israeli side is likely to play a pivotal role.